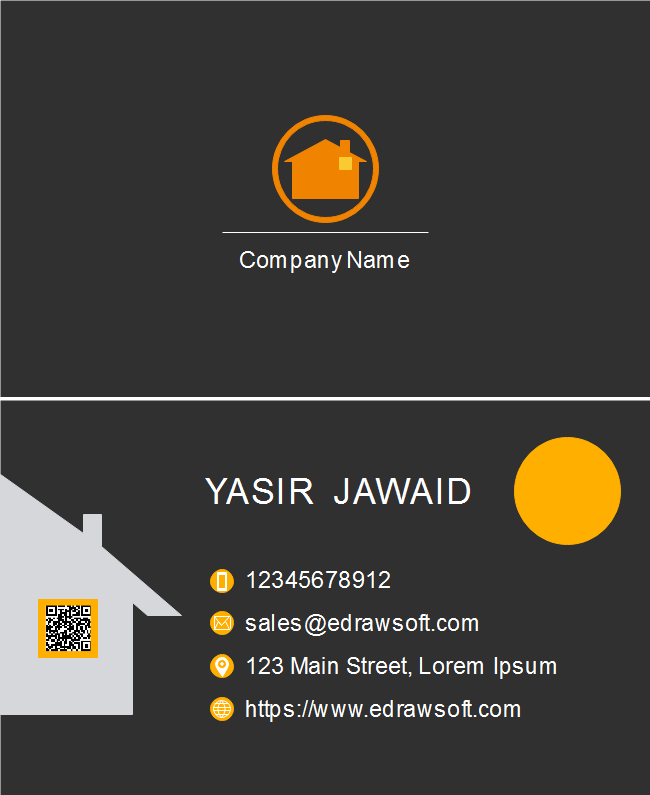 Description: Insert any of the built-in symbols from the Edraw library to the default black background orange house business card template. Resize and crop to fit the card formally for any kinds of business meetings. Enjoy more design features with just a click on the free download button.